The hotel stands out for its design, style and comfort. Ideally situated with direct access to the A2 highway between Barcelona and Zaragoza and close to the modern city of Lleida, the hotel has 46 air-conditioned and soundproofed rooms with WIFI, free ou tdoor car park and a 24-hour bar and restaurant where guests can enjoy excellent dishes. The hotel is perfect for both families and business guests, and features 71x79-inch (180x200-cm) beds and a fully equipped bathroom with shower in every room. The Hotel ibis Styles Lleida Torrefarrera stands out for its ideal location with direct access to the A-2 highway between Barcelona and Zaragoza, next to the superb, modern city of Lleida. 46 modern and comfortable rooms. Family rooms available. Ideally located, with direct access to the A2 highway. Free outdoor car park and unlimited WIFI. 24-hour bar with a beautiful terrace where you can relax. Oopen restaurant, serving high-quality homemade cuisine. 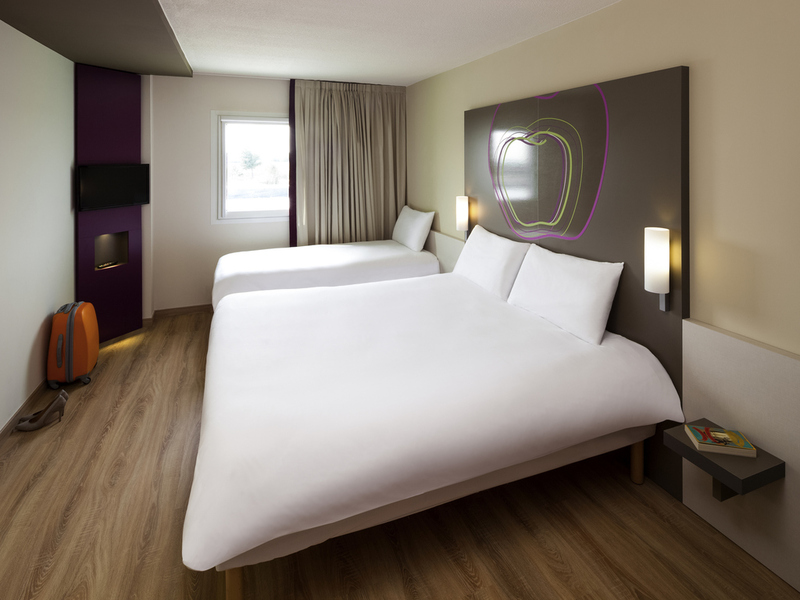 Modern and inviting, the new ibis Styles Lleida Torrefarrera room has everything you need: large bathroom, modern decor, comfortable double bed with duvet, Internet and a flat-screen TV with the best international channels. The bar and the terrace are quiet, modern and cozy spaces, perfect for relaxing after a busy day. Enjoy a good glass of wine accompanied by our delicious snacks at any time of the day.